I first heard Nikki Yanofsky sing Canada's national anthem at the opening of the 2010 Winter Olympics in Vancouver. 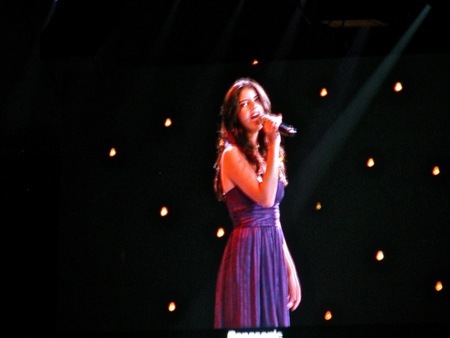 I was fortunate enough to have tickets for the 2010 Paralympic Opening Ceremony, and there she was again. The 16-year-old, born in Hampstead, Quebec, is embarking on a big tour this summer that includes Canada, the US and Europe. She's off to Japan in the fall.